This product is not for sale in United States. FREE UK delivery for schools on orders containing at least one paid item. Get the most out of best-loved children’s books with Read & Respond – the perfect way to explore favourite stories in your classroom. 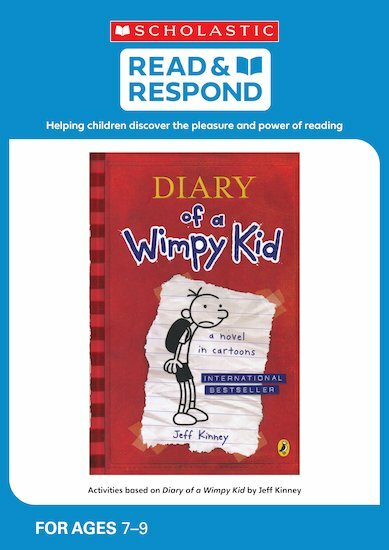 This resource book brings you a wealth of inspiring activities, digital resources and guided reading notes based on Diary of a Wimpy Kid. Read & Respond helps you build a whole-school literacy programme based on timeless children’s stories, chosen to inspire reading for pleasure. Fun-filled activities help children to fully engage with each story, encouraging a love of reading and building a range of skills. Each book contains photocopiable/printable activities, guided reading notes, speaking and listening activities, writing projects and creative ideas – all from a bestselling, tried-and-trusted series that’s a firm favourite with teachers. Pam Dowson is a retired primary school teacher and PGCE tutor in Primary English. Pam is currently an independent literacy consultant who now writes.